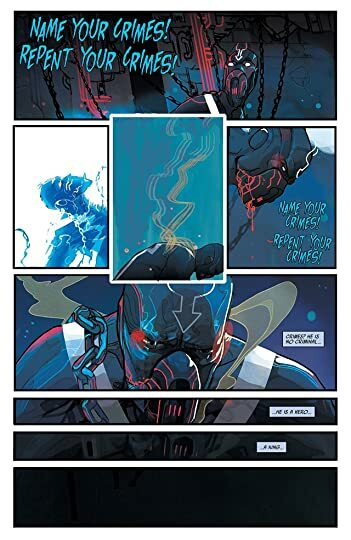 Black Bolt wakes to find himself caged and chained. He is in the very prison he intended for Maximus, but he learns even his treacherous brother doesn't deserve such a cage. Black Bolt must find a way to escape without his powers and with whatever allies he can find, including the Absorbing Man Crusher Creel. Hard Time was a bit of a let down. 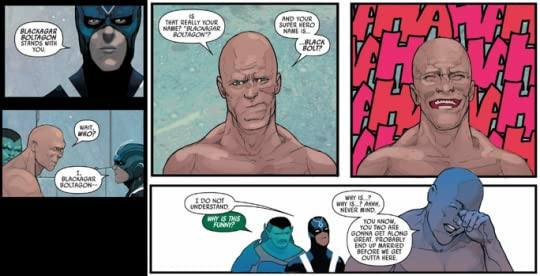 It didn't truly delve into any aspect of Black Bolt. It's rare for him to be able to speak, but rather than him saying or thinking anything interesting he's largely acting kingly. This is funny considering his long ordeal through Inhuman and Uncanny Inhumans that saw him abdicating the Inhuman throne. I guess old habits are hard to break. The story is straight forward once the scene is set. Black Bolt and the others are in an inescapable prison that is no longer the prison it was intended to be. It's a place of torture, death, and rebirth. The protagonists spend all their time working on escaping. Hard Time felt unnecessary and didn't feel compelling at all.